Zeiss is one of the grandest old names in all of photography, having been making optical instruments since 1847. Its current range of lenses consists of top-quality fixed focal-length primes that are divided into curiously-named families depending on the type of camera they’re designed to fit. Here we’re considering the Batis 135mm f/2.8, which is the fourth in its range of autofocus lenses for full-frame mirrorless Sony Alpha 7 cameras, following on from 18mm f/2.8, 25mm f/2 and 85mm f/1.8 designs. 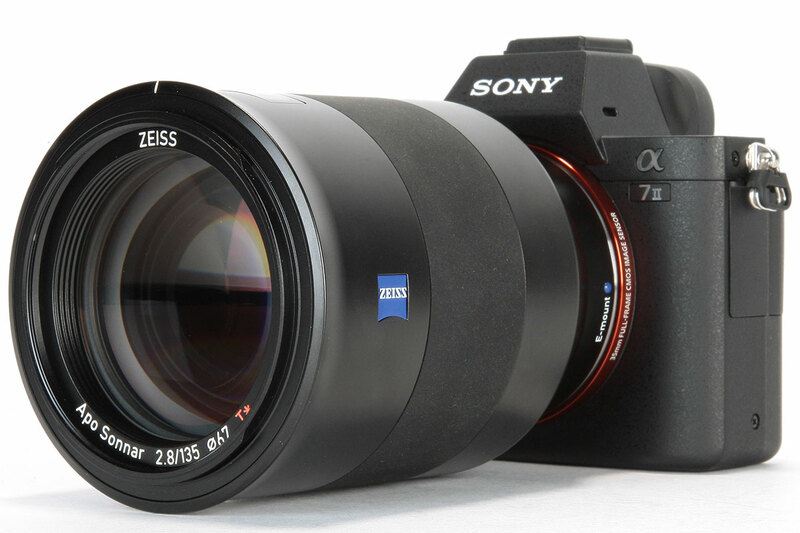 Of course the lens can also be used on Sony’s APS-C mirrorless bodies too, on which it will give a field of view equivalent to a 200mm lens on full frame. With its 135mm focal length, this optic falls towards the long end of the short telephoto ‘portrait’ range, which means it offers a particularly flattering perspective for head-and-shoulders portraits along with the ability to blur away out-of-focus backgrounds. But of course it can be used for a lot more that just pictures of people; it’s ideal for any subject that benefits from shallow depth of field or isolation from the background, or alternatively for the perspective compression that telephoto lenses provide with distant subjects. However, in a market where f/2 and even f/1.8 135mm primes are commonplace, the Batis’ more modest f/2.8 aperture will likely raise eyebrows, especially given its £1750 price tag. And while it’s the only native E-mount 135mm prime on the market, Sigma’s new 135mm f/1.8 DG HSM Art can be used on Alpha 7 bodies via the firm’s MC-11 mount converter, while Sony’s own Alpha-mount 135mm f/1.8 can be used in conjunction with its LA-EA4 adapter. But the Batis has a trick of its own in the shape of optical image stabilisation, allowing hand-held shooting at slower shutter speeds without blur from camera shake. Then again with second-generation Alpha 7 bodies having in-body stabilisation anyway, this could be seen as redundant. So does this lens actually make sense?